Ask the Data Governance Coach: Data Governance over a Data Lake? Data Management is Real; And Really Needed! Ask the Data Governance Coach: How Long Will My Data Governance Initiative Take? Does Database or Version Matter? Is Big Data the Scapegoat? Is Your Senior Leadership Losing Interest? Ask the Data Governance Coach: Do We Have to Call It Data Governance? When is Your Data Safe? Everybody is a Data Steward; Get Over It! Is Information Overload a Myth? Ask the Data Governance Coach: Why is Data Governance Important For Everyone? Do You Need to Audit Your Data? Data is Risky Business: What Business R U In? What Does Hidden Data Really Cost? It’s All in the Data: Everybody is a Data Steward, Get Over It! You Cannot Manage Data from Your Cubicle! SQL Drawing Blanks? It’s NULL a Surprise! How is Non-Invasive Data Governance™ Different? What Does Data Governance Mean? Can You Trust Your Data? Can You Federate Data Governance? Data Architecture COMN Sense: Big Knowledge? The Data Governance Coach: What Do You Include in a Data Quality Issue Log? 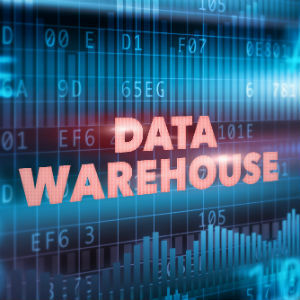 Data Architecture COMN Sense – Is the Data Warehouse Dead? Data Architecture COMN Sense: What are Data and Information? The Data-Centric Revolution: Do Data Lakes Make My Enterprise Look Data-Centric? The Data Governance Coach: Can Software Help My Data Governance Initiative? The Data Governance Coach: Do We Have to Call Them Data Owners? Combining Data from Multiple Sources – Join, Integrate, Blend? Which Business Rule do I Believe? Ask the Data Governance Coach: What is a Data Glossary? What is Non-Invasive Data Governance? Data Governance Coach: What Does a Data Governance Coordinator Do? Data Cleansing vs Data Maintenance: Which One Is Most Important? Pragmatic Data: Where Does Your Data Science Live? Is the “Data Asset” Really Different? Just What is Data Quality? Ask the Data Governance Coach – What is the Difference Between Policies and Standards? DAMA International Community Corner – What is New at DAMA International? Baffled by Big Data Governance? Best of 2013 – IT Matters. Again. Big Data and Predictive Analytics WhatÕs All the Rage About? Data Types of the Future! If You Think You Can Do Without a Business Analyst ÉThink Again! So You Want to be a Data Champion? Is Your Organization Too Unique to Use Universal Data Models? DGPO What does it mean to you? Where is the Query in XQuery? Data Structure: Data Modeling or XML? What Does Manage Your Data and Information Assets Mean? Data-Driven and Agile Methods: Can We Get Along? 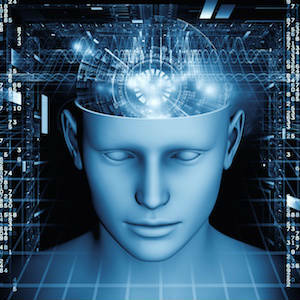 Enterprise Data Modeling: Lost Art or Essential Science? Perry Carraway, Director of Business Development for Blackstone & Cullen, Inc.
Chief Data Steward or Chief Data Officer: Another C-Level Acronym? Are You The Master of Your Data, Or its Slave? What’s Wrong With The Zachman Framework? Data Mining and Statistics: What is the Connection? Do You Trust Your Data Enough to Risk Your Neck? Are You Building a Dry Stone Wall? Do Metadata Repositories Manage Our Systems? DBAs! You Should Fear XML! Databases need to do the job better – without having to upgrade. So You Survived the Disaster – Did Your Company? To Buy a Repository Or Not to Buy a Repository? What is a Business Rules Approach? Which Should Come First – the Chicken or the Egg? The Single Customer View: A Valuable Tool or a Narrow Definition? Where Does a Document Strategy Fit in the Corporate Picture? Entities, Attributes and Elements: What Language(s) Are We Speaking? 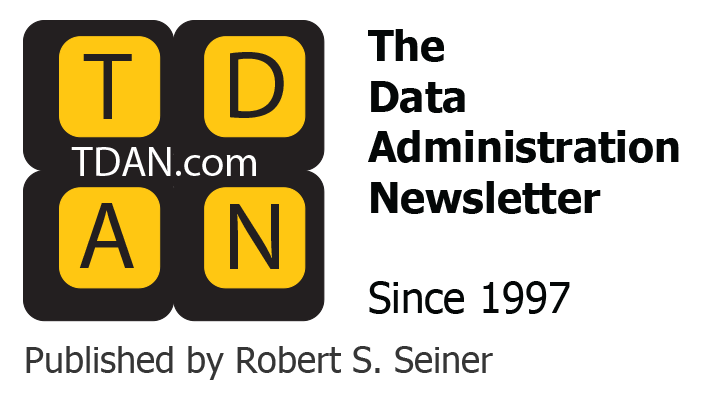 Data Administration: Part of the Problem?